I got the Kessil AP700 today which is meant for the new Red Sea Reefer 350 build but I couldn't resist testing it on the 50 gallon breeder. I like how it lights the tank. Nice even spread and the shimmer is amazing. 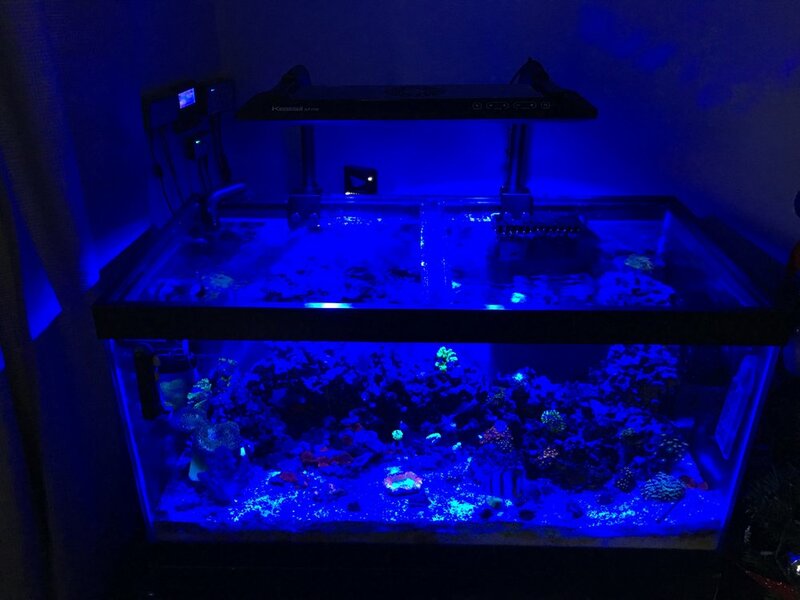 I tried testing the moonlight feature but like the Kessil A360 it was still too bright. I also tested it with the Coralife 2 bulb T5 fixture and it didn't look good at all. I want to do some T5 supplementation and I'll probably have to go another direction with it.